This brand new over-size mat offers more padding and more surface area, making for greater comfort during extended prone matches or shooting sessions. This new “Half-Acre” shooting mat features 1.5″ of high-density padding, a sewn-in bipod pocket, and sturdy corner grommets (for staking down). The mat’s underside is constructed of textured, non-skid, water-resistant material. While it’s not really a “half acre”, this mat is definitely over-sized. With a 1.5″ hi-density foam core, this mat is much more comfortable that most other shooting mats. When not in use, the mat conveniently tri-folds for storage. Handle and shoulder strap allow for easy transport. We really like this new mat and it’s on sale this week at a special intro price of $89.99 at MidwayUSA.com. 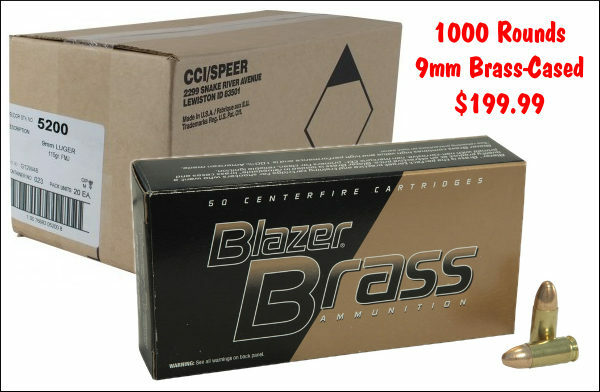 Norma makes excellent cartridge brass and now you save significantly on a wide variety of brass at Midsouth Shooters Supply. 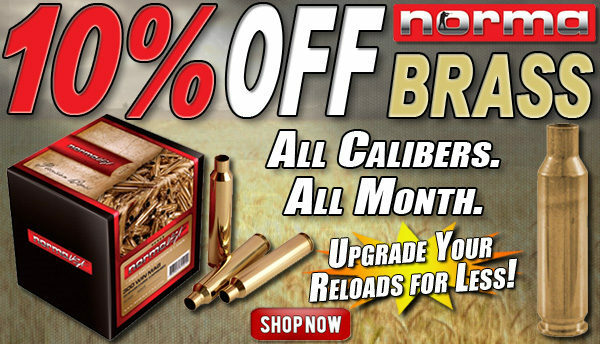 All Norma brass is 10% off this month at Midsouth. Cartridge types on sale include: 220 Swift, .222 Rem, .223 Rme, .22 PPC, 6mm PPC, 6mmBR, 6XC, .243 Win, .260 Rem, 6.5×55 Swede, 6.5-284, .270 Win, 7mm-08, 300 BLK, .308 Win, .30-06, .300 RSAUM, .300 Win Mag, and many other large calibers including the mighty .338 Lapua Magnum. A few years back, we comparison tested four laser rangefinders — a Nikon, Leica, Swarovski, and Zeiss. 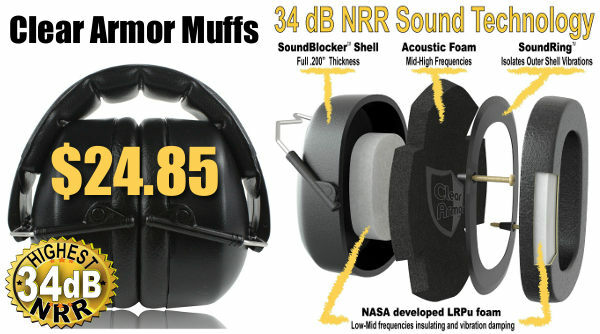 To make a long story short, three out of four testers preferred the Zeiss PRF Victory. While larger and heavier than the Leica CRF 1600, the Zeiss Victory PRF was easier to hold steady, and it ranged as well as the Leica (and better than the Swaro and Nikon). 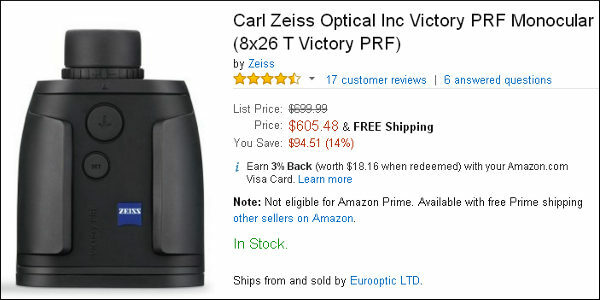 Now the Zeiss Victory is on sale for $605.48, making it $193.00 cheaper than Leica’s CRF 1600. With this price advantage, we think the Zeiss is the smart choice (unless you need an ultra-compact unit). A recent LRF comparison test in the UK reached the same conclusion. Looking for a “first rifle” for a family member? Consider this semi=auto Remington 597. 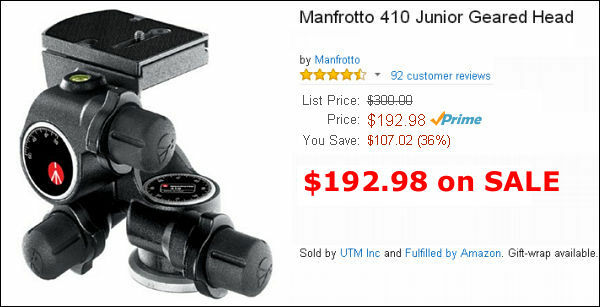 It currently retails for just $149.99. That’s right, for under $150 you can get a reliable, self-feeding rimfire rifle that will provide years of fun for a young shooter. The 597 has a stock that’s sized right for both youngsters and adults. Receivers are dovetailed for standard rimfire rings and are also drilled and tapped to allow mounting of Weaver-style bases. 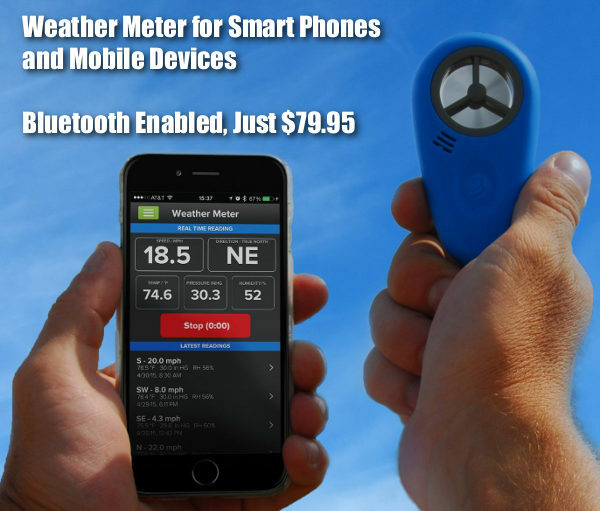 Share the post "Bargain Finder 25: AccurateShooter’s Deals of the Week"